Examination of the Newborn: An Evidence Based Guide is a practical and comprehensive guide for practitioners to enable them to undertake physical examination of neonates safely and competently. Incorporating the current UK Screening Committee NIPE Standards and Competencies, this book brings into focus what 'good practice' should look like against current national standards. 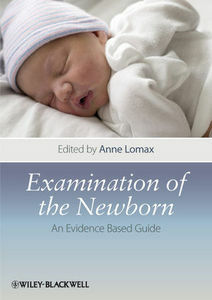 •Development of the heart and lungs and transition to extrauterine life.